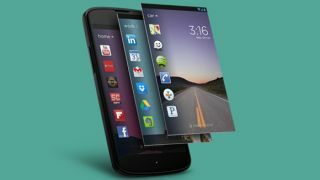 Twitter takes Cover, the contextual Android lock screen app, but why? Is it a move to compete with Facebook Home? Twitter has purchased the Android lock screen app Cover for an undisclosed sum, the two companies announced on - where else? - Twitter. "Cover is joining Twitter! Excited for the future of Android and what's to come," tweeted Cover's official account. Twitter welcomed it "to the flock" in reply. But what exactly is to come? What does the future of Android involve, according to Twitter and Cover? And does Twitter really think competing with Facebook Home is important enough for it to buy its own Android lock screen? Cover was created and launched by former Google employees in 2013. "We started Cover a year ago because we believed in two things: 1) the untapped potential of the supercomputers we carry in our pockets, and 2) the amazing power of Android," the company wrote in a blog post discussing the acquisition. The lock screen replacement displays six apps contextually on users' devices based on their actions and locations. So if you're driving to work it might show Spotify and Google Maps, while if you're sitting at home it could swap Flipboard or Feedly in. The company says the app has been used by "hundreds of thousands" of people since October last year. Even though Cover has its own calling card, comparisons to Facebook Home are inevitable. The house that Zuckerberg built made a play at the Android lock screen early in 2013, turning users' lock screens into glorified Facebook feeds. It's not a bad looking overlay, but its reception was not exactly overwhelmingly positive. It seems that won't stop Twitter from making its own play, though. "Twitter, like Cover, believes in the incredible potential of Android," Cover said. "They share our vision that smartphones can be a lot smarter - more useful and more contextual - and together we're going to make that happen. "We'll be building upon a lot of what makes Cover great, and we're thrilled to create something even better at Twitter." The existing Cover app will remain available in Google Play for now, but that might change as the companies' plans progress.